The Holst Memorial Lecture 2012 and Symposium are organized by Philips Research and the Technische Universiteit Eindhoven (TU/e). This year’s Holst Lecture, the 36th since 1977, will be held by Russell Foster, BSc, PhD, FRS, the Nuffield Laboratory of Ophtalmology, Oxford University. The symposium focused on how light via the eyes influences Man, Environment, Health and Society. Eminent speakers from both the Academic and Industrial Research Communities have presented their views on (recent and future) developments in their specific disciplines in 35 minute presentations (including Q&A). 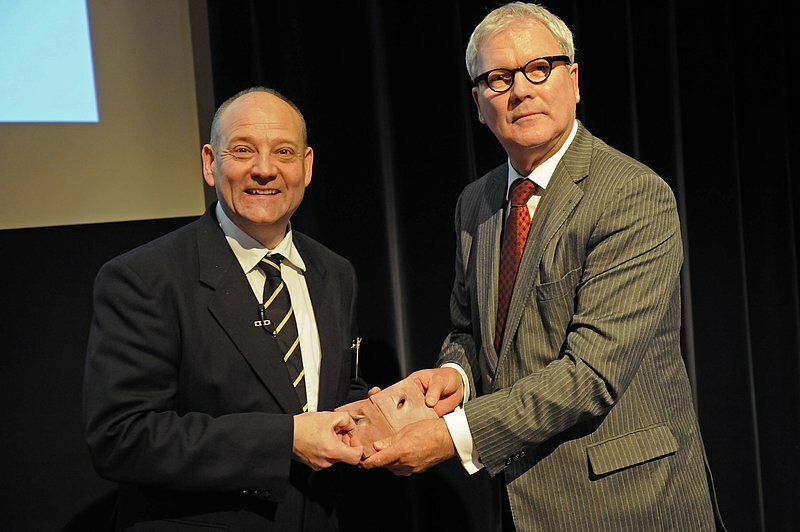 Russell Foster BSc, PhD, FRS is Professor of Circadian Neuroscience at the University of Oxford, Chair of the Nuffield Laboratory of Ophthalmology and Fellow of Brasenose College. He was elected to the Fellowship of the Royal Society in 2008. His research considers the neural mechanisms that regulate and generate circadian rhythms and sleep, with a focus on how light is detected and interacts with these systems. He has over 180 scientific publications and has co-authored “Rhythms of Life”; “Seasons of Life” and most recently “Sleep a very short introduction”. He is Chair of the Cheltenham Science Festival, Member of Council for BBSRC and Member of the Governing Council, The Sainsbury-Wellcome Centre. In March 2012 he was awarded BBSRC Social Innovator of the Year for the translation of his fundamental research into the clinical setting. He is awarded the Holst Award for his achievements in visual and circadian neurobiology and his research on the mechanisms whereby light regulates circadian rhythms.